Taking care of your dental health at home with the usual cleaning procedures than include brushing and flossing is absolutely necessary. However, within a few months, bacteria start collecting around the gums and dental plaque can harden, thereby transforming itself into calculus. Hygiene therapy is the only efficient way to eliminate these bacteria and deposits that could cause irreversible damage if they are not properly taken care of. We therefore recommend making an appointment for hygiene therapy every six months, although frequency can vary from one patient to another. At our clinic, hygiene therapy is not called “therapy” for no reason: not only is every session essential to the maintenance of your dental health, but it is also an appointment during which your comfort is at the heart of our concerns. All of our patients truly appreciate the way we approach hygiene therapy. A hygiene therapy session involves both the hygienist and the dentist. 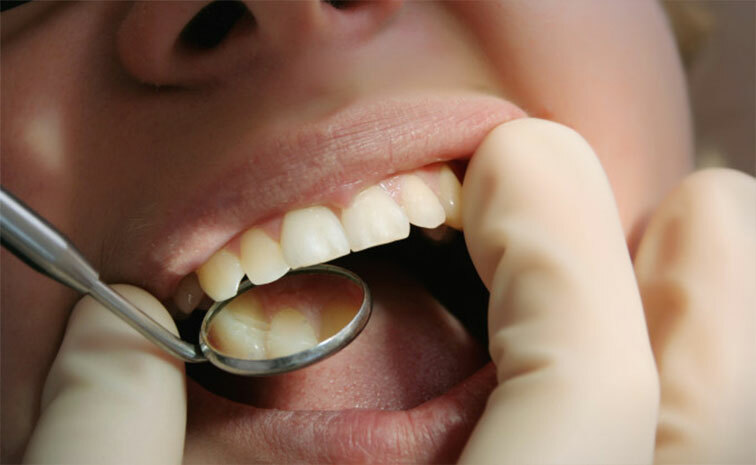 The former is in charge of the regular cleaning which includes removing plaque and calculus with specialized instruments and polishing the teeth. When the regular cleaning is over, the dentist comes in for an examination of the patient’s general dental health, which allows the prevention and the diagnosis of diseases. If there is a problem, the dentist will detect it and make sure it is properly addressed with a treatment and a follow-up when needed.